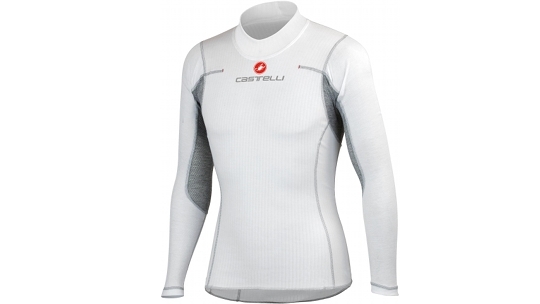 Castelli pulled out all the stops to make what we consider the ideal base layer for mild- to cool-weather cycling. The focus is on keeping you dry, so they worked with multidenier polyester that offers minimal moisture absorption combined with mechanical wicking to move moisture away from your skin. 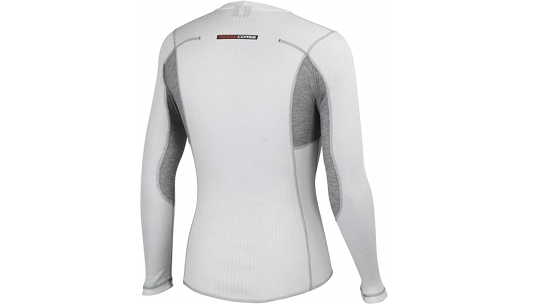 The main body uses a 3D rib-knit structure for exceptional stretch, but with channels that hold the fabric off your skin. The armpits are mesh, while the sleeves have a four-way stretch construction for comfort. All seams and the hem are flat seamed for comfort.